This issue is different from Nauru: these people are in Australia and most are on track to eventually become Australian citizens. The Turnbull Government just might be the one to sort out the mess and put 30,000 people's minds at rest. On 15 September, Prime Minister Malcolm Turnbull said that Australia needed a new style of leadership: one that explains the challenges and opportunities. Turnbull said that his new style of government would put an end to policy on the run and captain's calls, and reintroduce consultative leadership. The challenge of Australia's almost 30,000 bridging visa legacy cases provides an excellent opportunity for Prime Minister Turnbull to put this promise into practice. The challenge of the legacy cases isn't about balancing humanity and national security. This is a different conundrum. Although the result of Labor government policy, it's a story of policy on the run having unintended consequences for people in our community. It's also an opportunity for a new government to show that it can be pragmatic. In the latter half of 2011, the Gillard government's irregular maritime arrival immigration policies were under significant pressure from a growing population of asylum seekers. With limited options, the government decided that many low-risk irregular maritime arrivals (boat arrivals) would be released into the community on bridging visas. 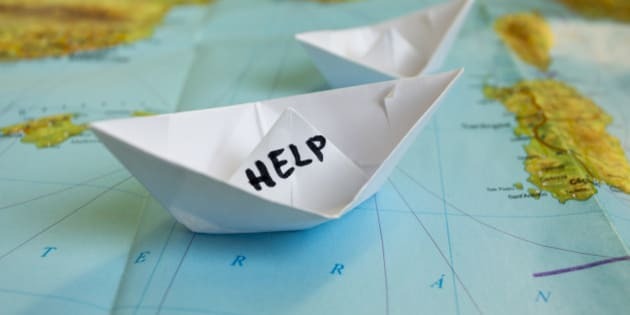 Following health, identity and security checks, low risk boat arrivals were released, under strict conditions, into the Australian community until such time as their claims for protection were assessed. On 14 August 2013, in response to an upsurge in boat arrivals and deaths at sea, the Rudd government re-established offshore processing. And with the stroke of a pen, a new cohort of asylum seekers was created: the legacy caseload. Almost 30,000 people have been sitting in limbo for two years on Bridging E visas which allow them to stay in Australia while awaiting an immigration decision. Without policy intervention, they'll be waiting for years to come. The legacy caseload is an intractable political time bomb for both sides of politics. Unsurprisingly, the policy response to this problem has been slow. But Australia and these people deserve better: policy by inadvertency is as bad as policy on the run or by captain's calls. Consecutive immigration ministers have demanded the problem be addressed quickly, but a policy this does not make. By some accounts, at least one of these ministers envisioned plane loads of cases could be resolved each week. But the reality for the Australia Border Force is that between five to 10 cases are resolved each week. At the current rate, without further funding, it could be 10 to 20 years before the legacy caseload is resolved. Neither the Department of Immigration and Border Protection nor the Australian Border Force have the resources readily available to address the issue without redirecting funds from border security. It's difficult to imagine how emotionally, financially and psychologically challenging it must be to start a new life after fleeing your place of birth. Over two years, 30,000 people have begun building new lives in new communities: new jobs, marriages, friends and families. They've done this knowing that this new life is uncertain and its permanency is unlikely to be resolved for many years. In that time, three Prime Ministers have come and gone. None have found the resources to process the applications of these people. It isn't about making new policy; it's about administering past policy efficiently. It shouldn't make policy advisers quiver and recommend kicking the problem forward until after the next election. The Turnbull government could tidy this up by doing one of three things: fund the Australian Border Force to resolve the legacy caseload quickly, acknowledge how long it will take to resolve the outstanding cases, or look for an alternative, pragmatic policy option.